The head of the online retail giant, Amazon is launching a $2 billion fund to help homeless families and create a network of non-profit preschools in low-income communities. Jeff Bezos, the world's richest person, has previously been largely invisible in the world of philanthropy, in stark contrast to peers like Bill Gates and Warren Buffett who have given away tens of billions of dollars. Mr Bezos' net worth has risen by $64.7 billion this year alone as Amazon's shares have surged. The Amazon.com Inc. chief executive officer now has a personal fortune of $163.8 billion, according to the Bloomberg Billionaires Index. The Bezos ‘Day One Fund’ will issue annual awards to organisations that are doing "compassionate, needle-moving work" to shelter and support the immediate needs of young families, the billionaire announced in a blog post Thursday. Its vision statement comes from Mary's Place, an emergency shelter in Seattle. Mary's Place motto is "no child sleeps outside". "We'll use the same set of principles that have driven Amazon," Mr Bezos wrote. "Most important among those will be genuine, intense customer obsession. The child will be the customer." Last year Mr Bezos solicited advice from the public via Twitter, asking how he could best use his wealth to help people "right now". At the time, he said that he was interested in funding projects to help people at the intersection of urgent need and lasting impact. The missive set off a frenzy of responses from every corner of the world, including pleas to support health care, loan forgiveness and even offbeat appeals to back a leather fetish museum in Chicago. Until now, Jeff Bezos has made only small initial steps into giving back. The Bezos Family Foundation, which is best known for its support of children's education, has been largely funded by his parents from Amazon holdings they acquired as early investors in their son's enterprise. 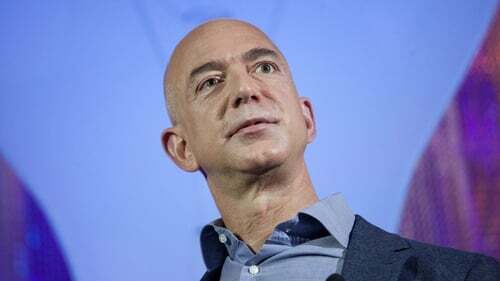 Outside of that, Mr Bezos and his family's known donations have included gifts to Princeton University and Seattle's Fred Hutchinson Cancer Research Center, according to the Chronicle of Philanthropy. Amazon has a history of supporting homeless programs in Seattle. In 2016, it renovated a vacant hotel on land designated for its new headquarters so it could be used temporarily by the non-profit group Mary's Place to give shelter to 200 homeless families. Amazon is designating 47,000 square feet of space at its new corporate office for a permanent Mary's Place shelter.